Special Counsel Robert Mueller told a federal judge that more than 1,000 confidential files compiled in his case against hackers supported by a friend of Russian President Vladimir Putin had somehow found their way onto the internet, where the evidence was widely disseminated, in defiance of the judge’s order. The revelation came in a filing involving Concord Management and Consulting LLC, a firm controlled by Yevgeny Prigozhin, who runs a large catering business and is known as "Putin’s chef." Mueller’s team said "non-sensitive" evidence that had been shared exclusively with Concord’s U.S. law firm, Reed Smith LLP, ended up in an online file-sharing portal, apparently as a result of a hacking operation targeting the law firm. Eric Dubelier, Concord’s lawyer, declined to comment on the filing. 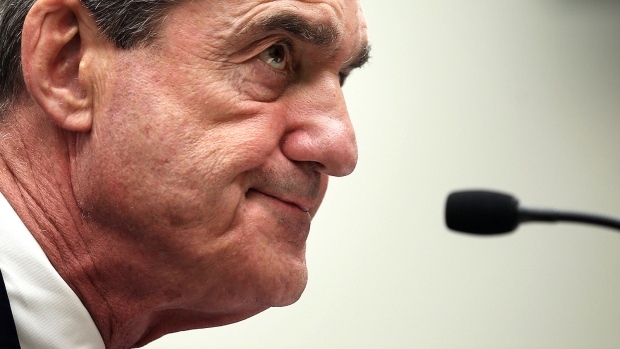 Mueller was responding to a motion from Concord accusing the special counsel of unfairly attempting to hide evidence of its alleged criminal behavior through a blanket protective order issued last year by U.S. District Judge Dabney Friedrich in Washington. Mueller’s team pointed to the dissemination of its non-sensitive filings (which it did not blame on the law firm) as grounds for keeping sensitive evidence in the case under tight control. Concord has argued that its owner, Prigozhin, should be allowed to review evidence compiled against him and his company. Prigozhin would face arrest if he chose to come to the U.S.